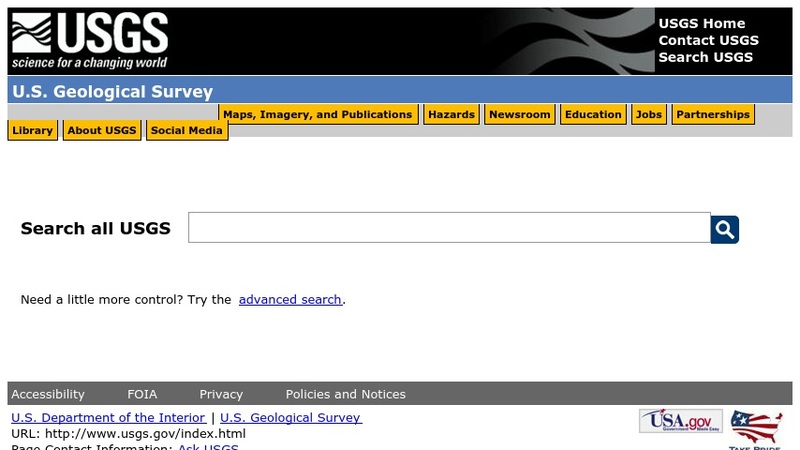 Users can search the large number of the U.S. Geological Survey's web pages with this engine. In addition to the search box (where a key word or title can be typed), the search is further refined by the incorporation of links to categories of topics. The topics consist of resource types such as Fact Sheets or Maps, subjects such as minerals or water quality, or an organizational search on USGS State offices or programs.